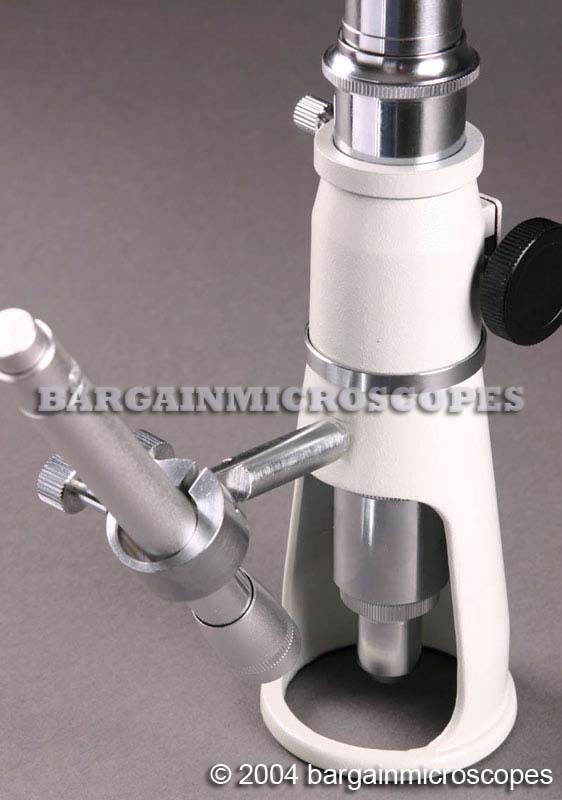 Monocular Shop-Field Microscope with Measuring Capability! Compact and Lightweight – Great for Field Use! Easy to Use! Simply set the scope over the surface to view! 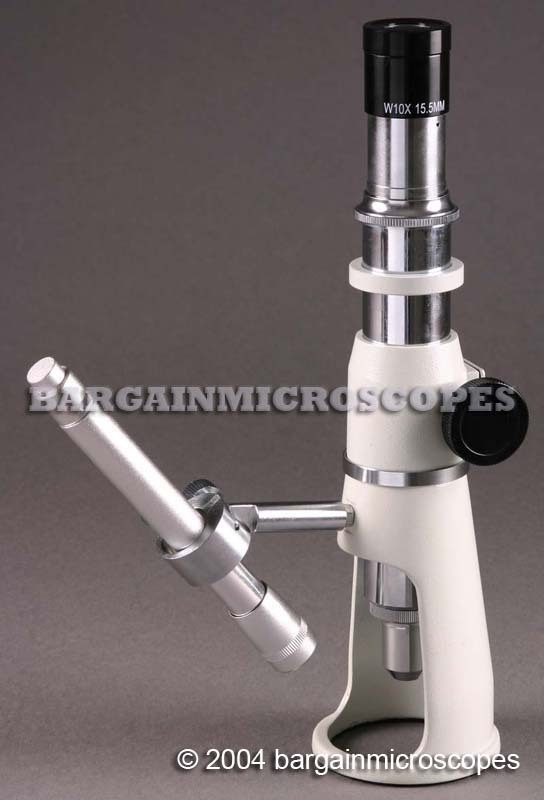 Includes Measuring Reticle in Eyepiece. Reticle Specs: 10mm length subdivided into 100 divisions, 0.1mm Resolution on the Reticle (not actual resolution of the scope). 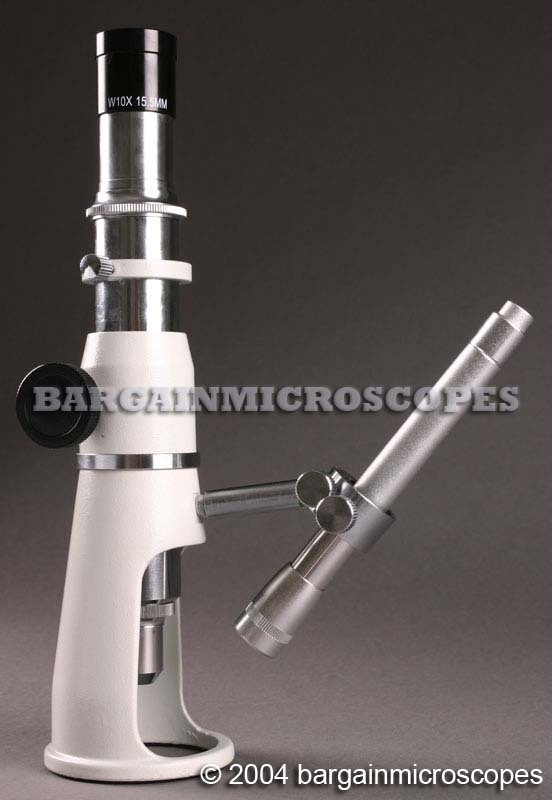 Actual Measuring Specs: Each reticle division represents 0.01 mm actual true size when viewed through the scope eyepiece. 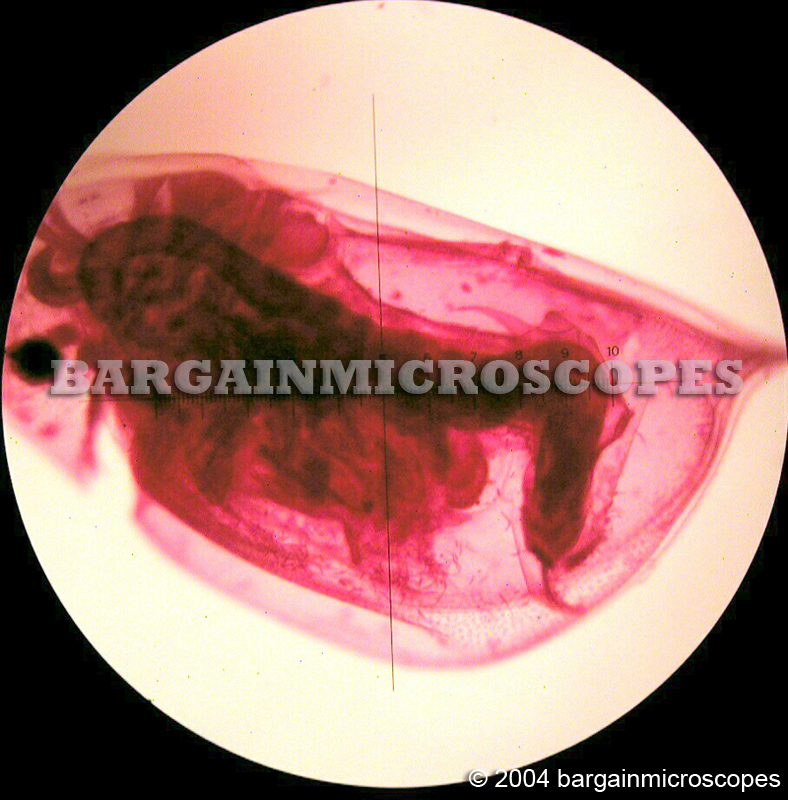 For example, if a scratch on the surface of your specimen is 18 reticle markings wide, then that represents 0.18 mm (18 x 0.01mm) wide scratch. 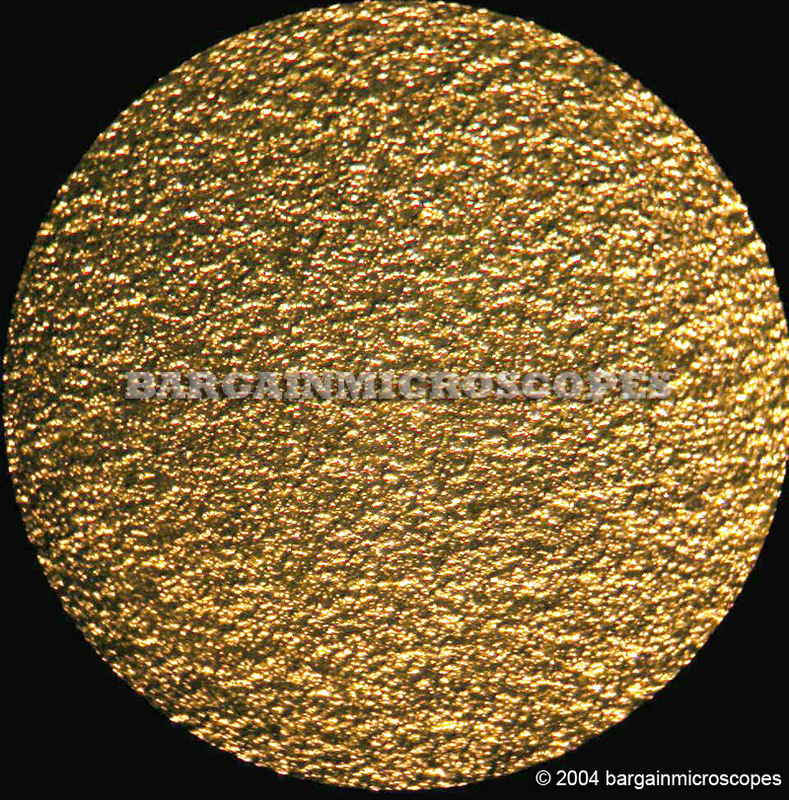 Fixed Magnification: 100x (10x Eyepiece, 10x Objective). Battery Operated Illumination (Uses 2 AA Batteries, Not Included). 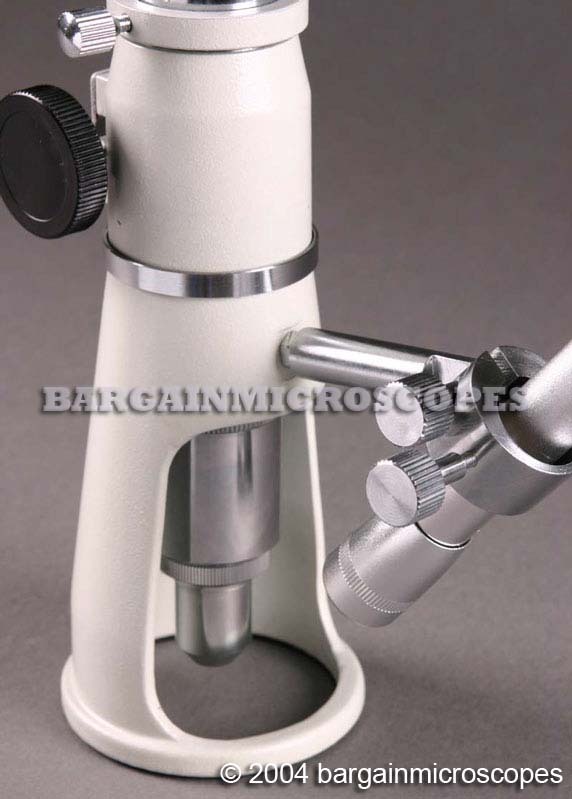 The Focusing Knobs on Both Sides of Microscope Raise and Lower the Objective. 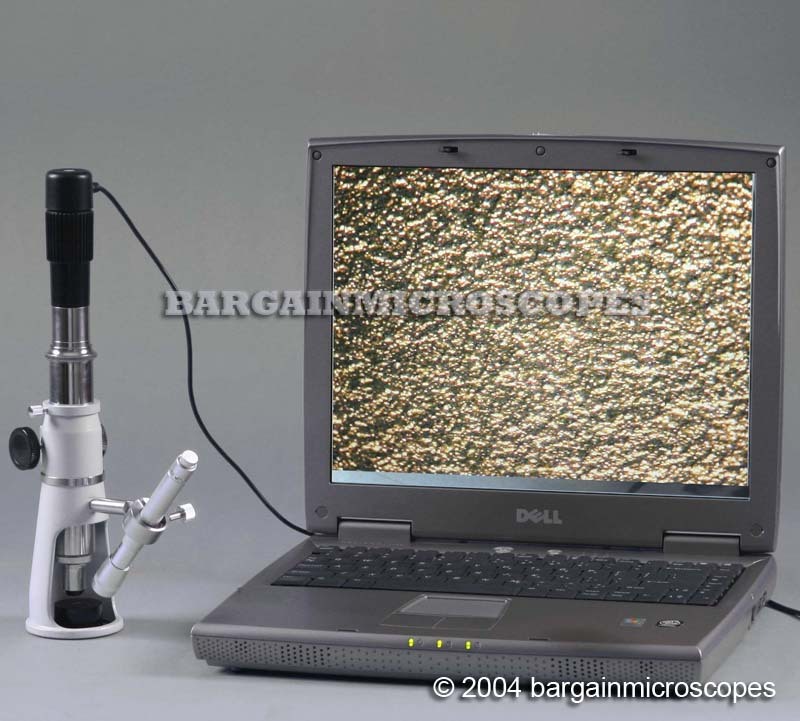 Field of View: 1.7 mm. 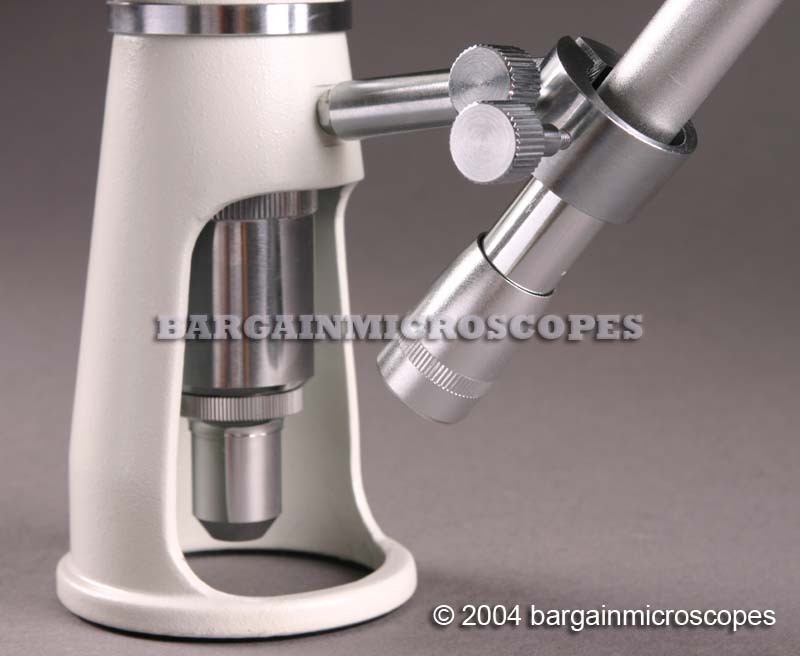 This is the Actual Distance Across Your Eyepiece Viewing Diameter. 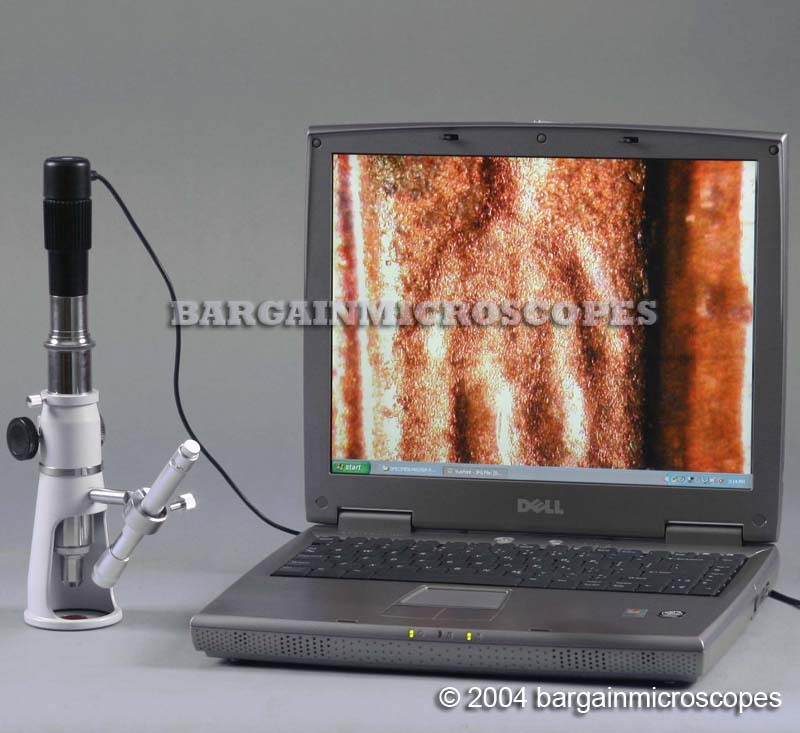 For example, a 1.7mm long specimen will completely fill your viewing area. 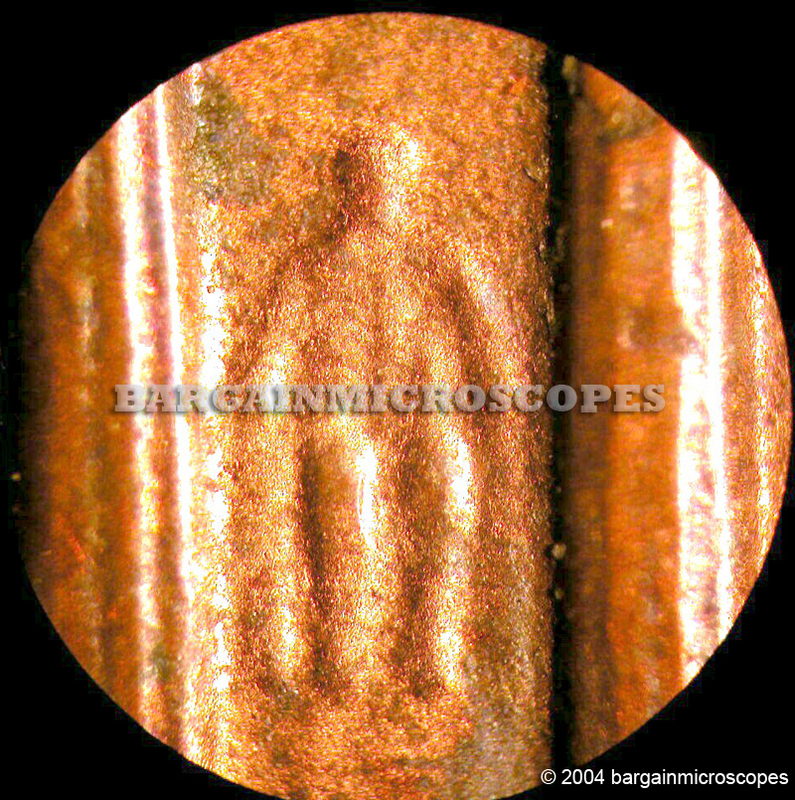 Note: photos taken through the eyepiece cut the field of view since a CCD Camera has a smaller field of view than a human eye. Comes with Carrying Case with Precut Foam Padding.